The Gospel According to Temple Run | Truth. Wisdom. Humor. Anyone with an iPhone or Android has undoubtedly downloaded the game “Temple Run.” It is a fascinating, yet simple time-killer that has assassinated countless hours of productivity. If you’re anything like me, you’ve got yourself getting sucked in to the addictive nature of the game. However, while sacrificing hours on the altar of “Temple Run” trying (unsuccessfully) to beat my 5 year old’s top score, I realized that “Temple Run” also holds several spiritual truths that mirror the message of the gospel and the life of a believer. 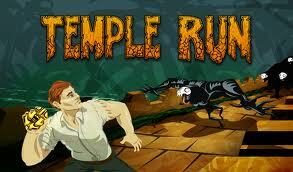 Since there are four gospels, here are four spiritual truths I found in “The Gospel According to Temple Run.”1. You’ve got to run for your life. 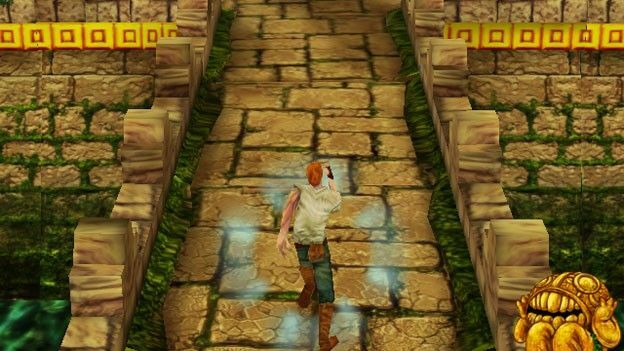 In “Temple Run”, the explorer is constantly being pursued by “demonic monkeys” who are waiting for him to make one false step. The moment the explorer stumbles, the monkeys pounce on him to “eat up his flesh.” In the same way, our enemy, the devil, is constantly sending his demonic forces on assignment to chase, harass, and attempt to destroy the believer. However, just like the explorer, we must keep running. We can’t afford to stumble. Every time we stumble we allow the enemy to gain ground on us. The interesting thing is that the demonic monkeys are not fast enough to catch the explorer on their own, they need his help. They need him to stumble in order for him to catch up. The enemy can’t catch you if you don’t allow him! That’s why he puts obstacles in your way. You’ve got to jump, slide and turn on the road to your destiny. It reminds me of the old song of the church that says, “Lord, I’m runnin’ tryna make 100 because 99 1/2 won’t do!” Keep running for your life! 2. Don’t forget the coins. The explorer can’t be so busy focusing on the demonic monkeys behind him that he misses out on the coins in front of him. Throughout the obstacle course there are yellow, red and blue coins. These coins represent the treasure of God’s word. They also represent opportunities; they can be used to purchase upgrades and aids to help the explorer on his journey. Likewise, every day, God blesses us with opportunities designed to aid us on our journey. However, if we are too busy looking at what’s chasing our back, we’ll miss out on the blessing that’s staring us right in the face. One interesting thing to note about the demonic monkeys in “Temple Run” is that for most of the game you can’t even see them. They are so far behind the explorer that they disappear off the screen. God doesn’t want you looking at what’s behind you. He wants you to focus on the opportunities that are ahead of you. The Apostle Paul says, “Forgetting those things which are behind…I press toward the mark for the prize of the high calling of God in Christ Jesus” (Phil 3:13-14). Don’t forget the coins! 3. Make sure you power up. Throughout the maze of “Temple Run” several “power-ups” appear. The explorer has to leap to get them. These represent the power of the Holy Spirit that is available to every believer. We just have to leap up and grab it. The Holy Spirit is our Paraclete. He is our Comforter and our Helper. He is like the Christian’s “power-up.” There are several power-ups in “Temple Run”, but my favorite is the magnet. When the explorer gets the magnet, he doesn’t have to maneuver to collect the coins…the coins come to him. That sounds a whole lot like the favor of God. When you have God’s favor, you don’t have to try to force your way into situations; God will make them come to you! The Bible says that God surrounds us with favor, like a shield (Psalm 5:12). In other words, He puts a magnetic force field of favor around us that just attracts the blessings, but you can only get it if you power up. 4. The objective is to survive. While there are at least four similarities between “Temple Run” and the life of a Christ-follower, there is one stark difference. The game has no end. The explorer can just keep running and running until he either gets tired and gives up or is eaten or killed in the game. He has to keep running, never being allowed to get any rest or peace. However, for the child of God, we are promised both rest and peace. God grants us opportunities to rest and even commands us to do so, and one day we will look forward to the ultimate peace of eternal life. Another difference is that, in the game, the explorer is running away from the temple. Of course, in our Christian journey, we must run TO the temple. So make sure you make that “temple run” this weekend and #Go2Church! WOW THAT’S REAL GOOD …. KEEP UP THE WORK MAN OF GOD..
Wow! 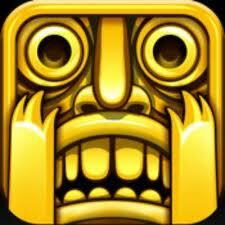 Never played the game Temple Run, but as you so eloquently described its seems to be just like life. I will keep running, grab hold to his coins, power up continually as I know I am destined to survive. I love your blog, bring on your book!!! All your blogs would make a great book as well!!!! Lol. Preachers, they find a Word in season in everything! :-)! Love it! Pastor as soon as I see the blog I HAD to read it. I am a Temple Run fanatic. I love the way you breaks it down. Very well put. Absolutely great post, love the relevance….. I have never heard of or play Temple Run…but you’ve intrigued me! Gonna have to download it and give it a RUN! Great read as always Pastor! Such a great inspirational word. The writer of this piece fails to recognise is the only reason why the ‘Demonic Monkeys’ are chasing the player in the first place. The player has broken into a place of idol worship and stolen an idol. This action has caused the player to be pursued by the ‘Demonic Monkeys’. There is no end positive end to the game; the player either gives up and has his flesh devoured by the ‘Demonic Monkeys’ or stumbles and has the same end. All this article does is try to justify the pointless hours spent playing what I see as an evil game which potentially invites all sorts of demonic attacks into our children’s lives.